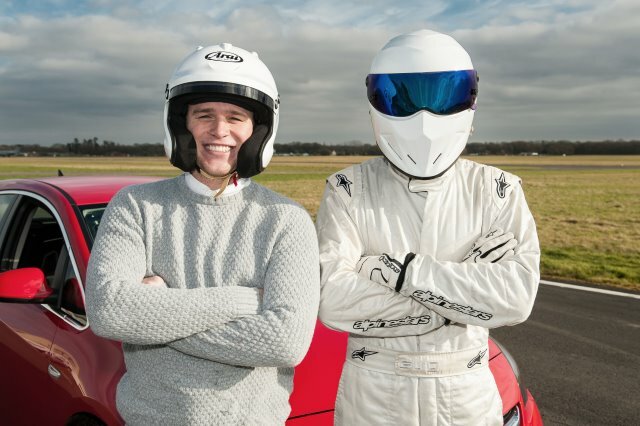 Essex-born singer-songwriter Olly Murs is Top Gear’s next Star in a Reasonably Priced Car, with the BBC releasing photographs from next Sunday’s (February 22, 2015) episode. 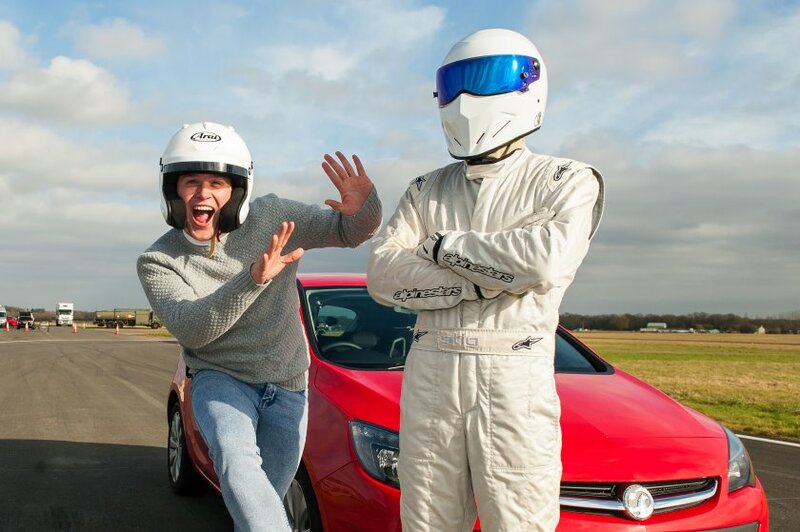 Murs is pictured along with the Stig, and behind the wheel of the red Vauxhall Astra that celebrities have been taking around the long-running TV show’s test track since 2013. 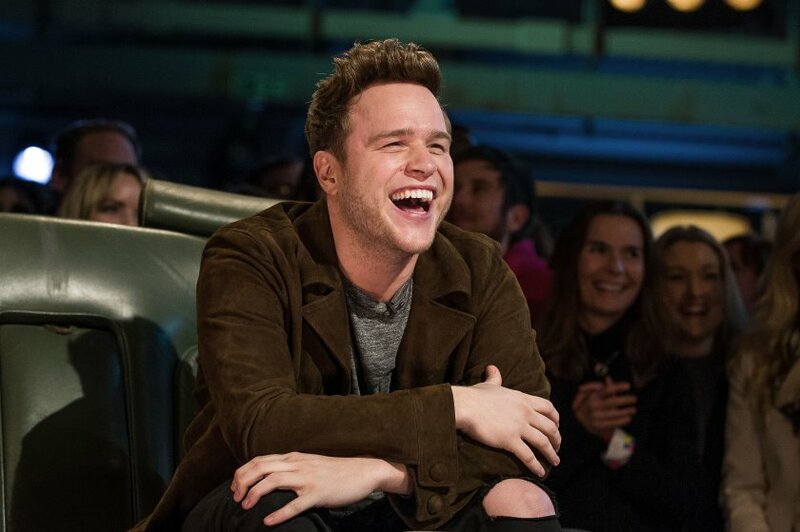 Murs first came to prominence as a contestant on The X Factor, where he finished runner-up in the 2009 series. Madame Tussauds has even made a likeness of him for its exhibit. 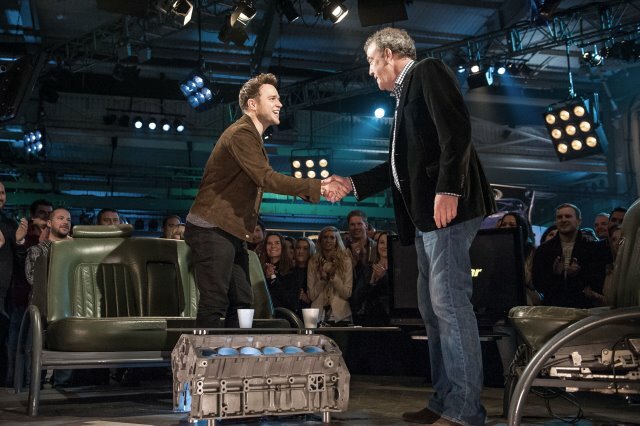 His latest album, Never Been Better, was released last November and débuted at number one on the UK albums’ chart. 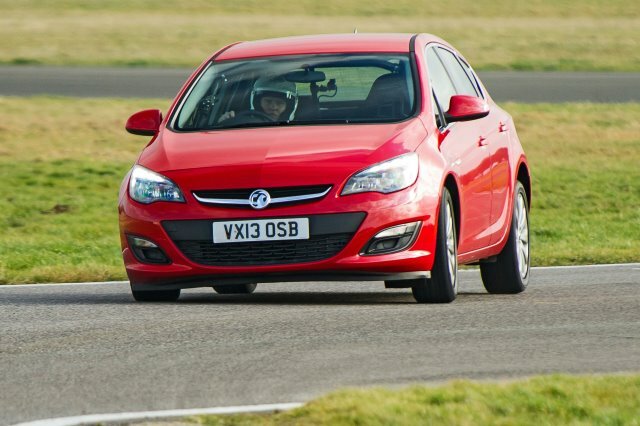 US actor Aaron Paul currently heads the leaderboard among the stars who have driven the Vauxhall Astra.